Boost your Creativity – And, your bottom line! Designing your products with sequins will bring an exclusive element to your business. Sequins come in all different shapes, sizes, finishes, patterns, etc. 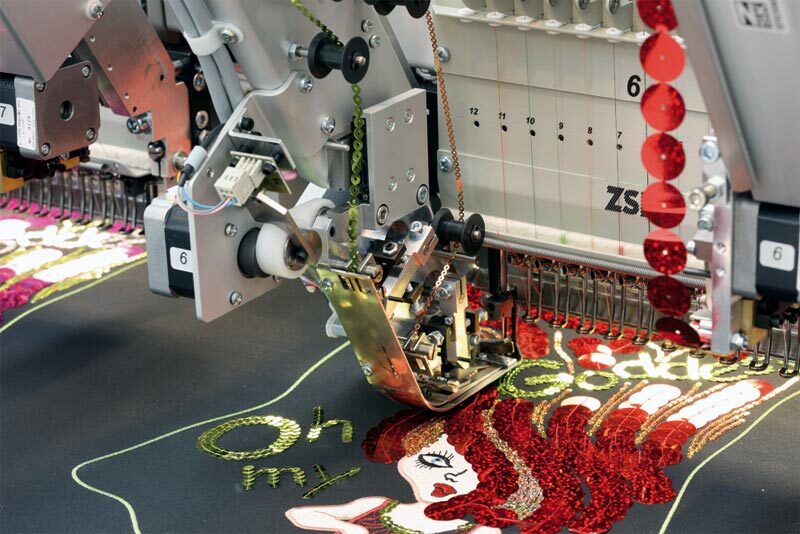 Sequins can be placed within an embroidery design sporadically; or, you can create continuous lines or fills – it’s up to your imagination. Not only does ZSK offer sequins attachments, but multiple types of attachments to utilize up to 4 different sequins decoration on just one head.